Lemons, avocados, and redwoods. My relatives may be able to grow these things in their backyards in California, but I’ll never be able to get them going here in Cambridge. Kale, however, is quite happy here, even through October and November. My five kale plants have kept us in greens all summer, and with fall kicking into gear I figured it was time for a final harvest. 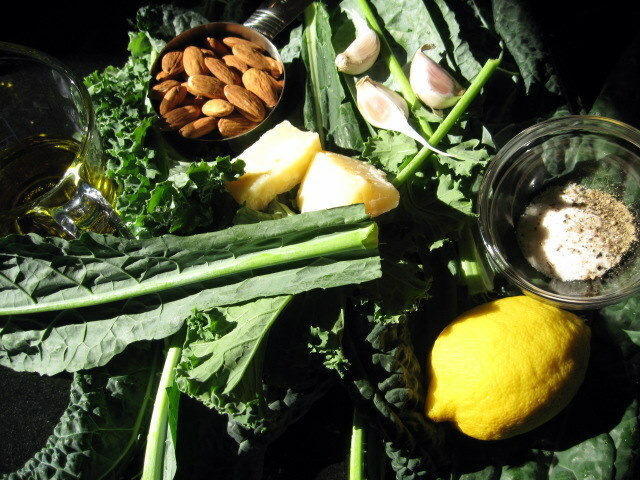 My preferred vehicle for kale storage is kale almond pesto. Kale. 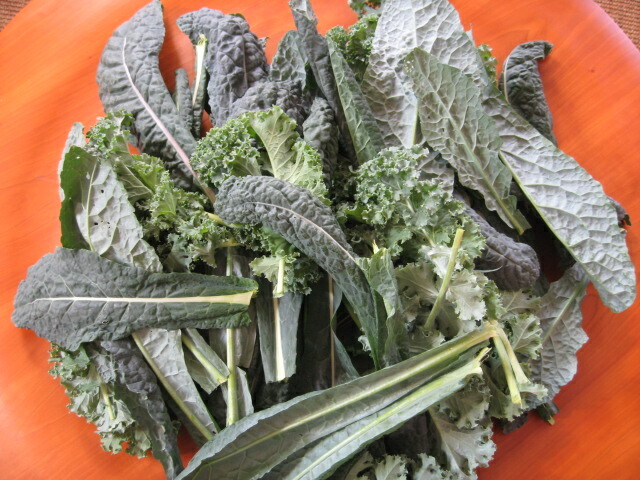 Basil’s not bad for you, for sure, but kale is pretty hard to beat when it comes to nutrition. And, as I mentioned, it has a long growing season here in the northeast. Almonds. Pine nuts are delicious, but they are expensive. Almonds are much more wallet-friendly. And almonds are also lower fat, and their fat content is a healthier mix of saturated and unsaturated. Plus, almonds never cause pine mouth. A muffin tray. I would never have thought to freeze pesto in a muffin tray and then move it to plastic bags. Genius! This produces convenient pucks you can use one by one – much better than a monolithic block of pesto ice. 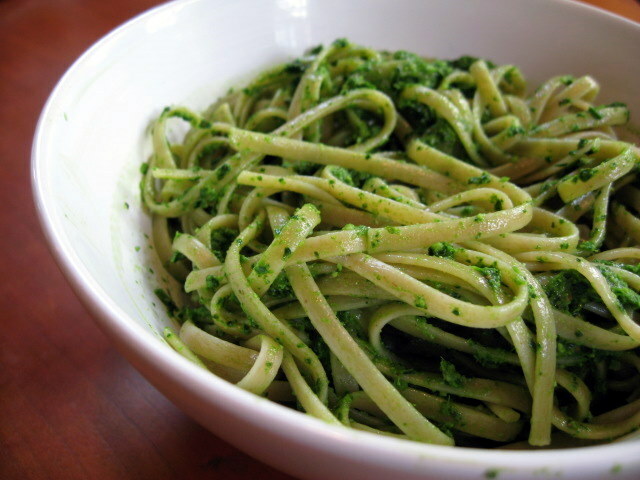 The recipe works well when executed strictly, but I find there is a lot of room for interpretation in pesto. You can adjust any of the ingredients in this recipe and still end up with a damned good pesto. Just be careful that you don’t go overboard with the garlic. 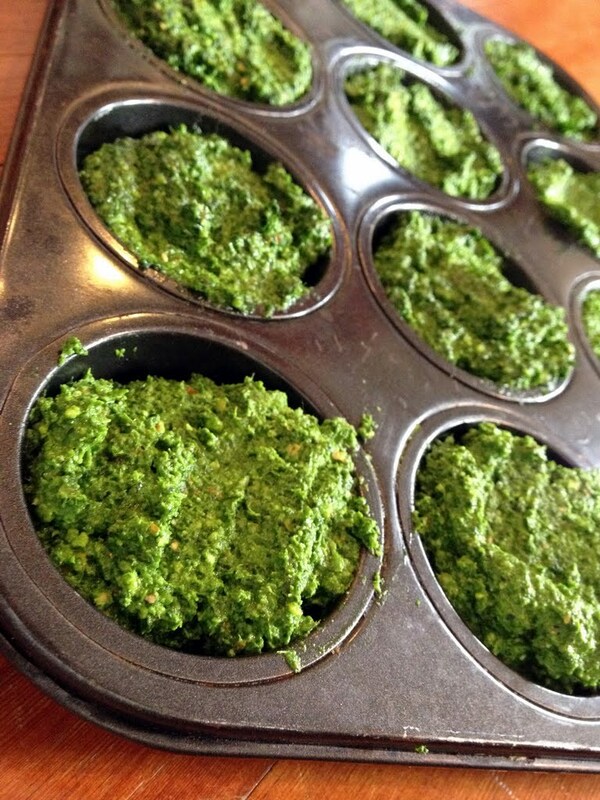 So, without further ado, here is what you’ll need for a full muffin tray of pesto pucks. I made this in three batches, and you can easily make just a third of it with a single bunch of store-bought kale and a third the other ingredients. We like to use the frozen pucks as a topping for pizza and pasta, but there are lots of other possible applications. Many people recommend freezing pesto without the cheese and adding it later on, but I’ve never had a problem with frozen pesto that has cheese built into it. oh my gosh, i was JUST thinking about using my leftover kale to make pesto. this is awesome! 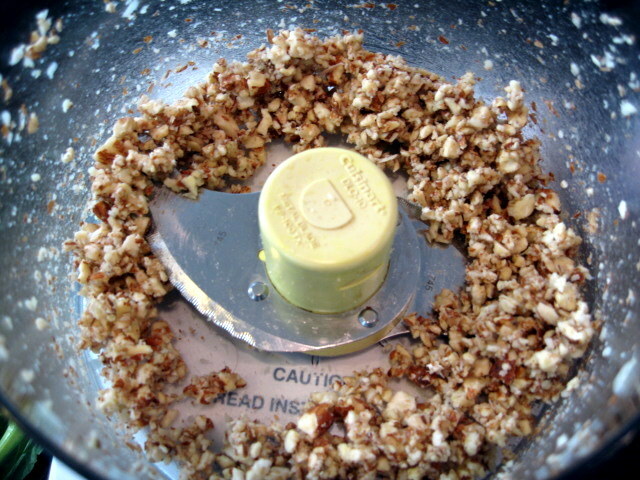 do you think i could use cashews instead of almonds? i made some basil/cashew pesto just recently. no cheese (vegan). can’t wait to make this on monday!